With the huge array of themes available for WordPress, you can create almost anything, from online magazines to advanced e-commerce businesses. You can either get themes for free or pay for them. Of course, you get what you pay for – yet don’t be too eager to spend your money on something you might not even need. If you’re looking for premium WordPress themes, take a look at this fantastic collection, and if you’re looking for WordPress Plugins, here are the Top 100 for 2017. Starting with a free theme is a good way to get your blog or website started. Maybe you are not sure yet in which way your branding style should go. Investing money at that time is not the best thing to do. However, as your blog grows, it will be necessary to invest in one at some point. For now enjoy the roundup! Quick Jump: Magazine & Blogging Themes, Personal Themes, Portfolio Themes and Business Themes. 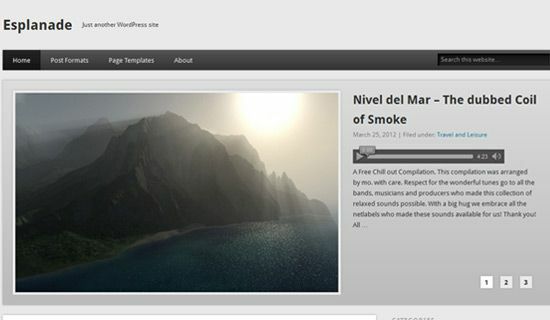 WallPress is a free WordPress theme that lets your viewers focus on the content. It has a flexible layout so that you can use it in your portfolio, blog, magazine or even business web-needs. Socialize is a lightweight and responsive WordPress theme. It is simple and beautiful but powerful as well. I recommend this for bloggers or magazine websites. PR Pin is a powerful and responsive free WordPress theme recommended for news or magazine websites. It was designed using Bootstrap and Font Awesome. Aside from that, it also has great widgetized areas that will surely be of great use for your website. Lingonberry is a clean and simple theme for bloggers. It has beautiful typography and can fit on any screen. Hemingway’s beautiful color scheme and typography makes it a beautiful WordPress theme. Great for personal blogs. This theme boasts a custom accent color, custom header uploader, and widgets that you’ll surely love. 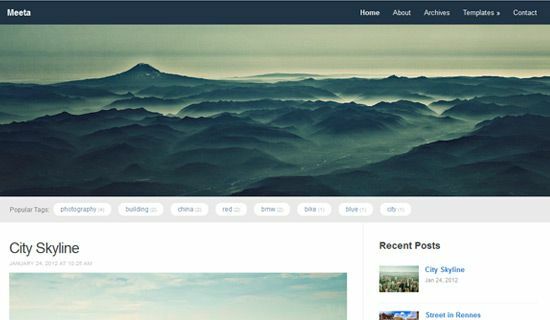 Flubby is a free WordPress theme built around Twitter Bootstrap and Font Awesome. It has a very simple and clean looking layout. Perfect for blogging! With its lightweight and responsive design, Bushwick will surely highlight your content while putting emphasis on your imagery. Alpha Forte is a sleek modern looking three-columned responsive theme. It perfectly fits personal and travel blogs. You can customize backgrounds and it has two widget areas in the left and right columns. 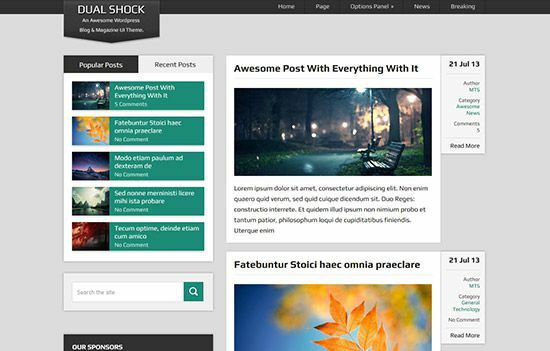 Dual Shock is a responsive magazine or blog theme. It’s one of the best free themes that you can find. It features custom widgets, SEO optimization, and is translation ready. Live Wire is about rocking your blog. It was designed with a mobile first attitude, it supports post formats, gravity forms and hybrid tabs plugins (CSS included). silverOrchid WordPress theme by gazpo.com offers a wide range of customization possibilities with its theme options, and is extremely simple to get up and running. Yasmin is a responsive WordPress theme based on the skeleton framework. This theme is also powered with features like custom post types, taxonomies, custom menu, featured thumbnails and more. Canyon is a powerful, premium quality theme with features like custom menu, custom widgets, featured thumbnails, and a featured slider. Crest is a full width free WordPress theme that comes with amazing features. It is perfect for personal blogs that need to feature a lot of text rather than showcase images. Esplanade is a modern and stylish theme featuring a responsive layout with a slick and streamlined design but powered by a powerful code base and a flexible options page offering lots of features and control. Ascetica is a spacious and elegant portfolio/blog theme with responsive layout. Best suited for bloggers who want to showcase their work alongside their posts, photobloggers, designers, and photographers. Prototype is a specialized parent theme with multiple nav menus, several widget areas, and per-post layouts, allowing anyone from designers to users to quickly create beautiful sites. Basic is a free responsive WordPress theme. The purpose of the Basic theme is to give you a starter theme so you can be your own designer. It only contains the basic layout styling so you can customize the theme with your own preferences. Flexible is a WordPress child theme of the robust Twenty Ten. Flexible optimizes and presents content in different screen sizes. It gives readers a seamless experience regardless of device or platform. 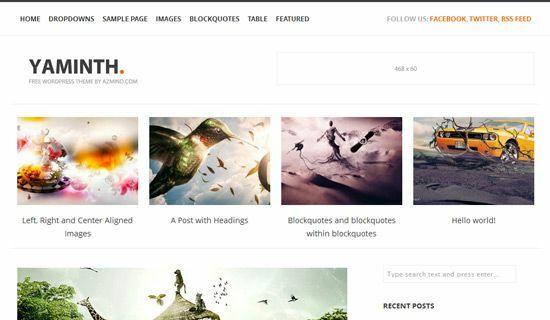 Themolio is a free and responsive WordPress blog theme with elegant, grid-based design. 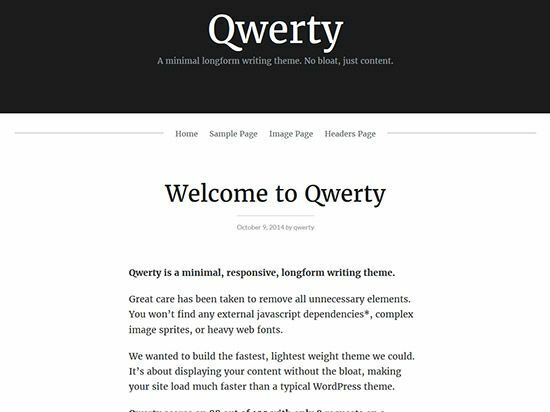 Querty is a minimal and lightweight WordPress theme. It’s most suitable for a personal blog. If you have efficiency in mind this is the right one. The developers have off loaded all the unnecessary elements. They built it for speed. Get it here for the test ride. Lugada is a simple minimalist responsive two column theme with built in slider. Pinbin is a little bit extravagant, but at the same time a beautifully designed theme. If you want your posts to look Pinterest-ready and be fun at the same time, you have found the winner. This theme is clean and modern without the unnecessary scripts. 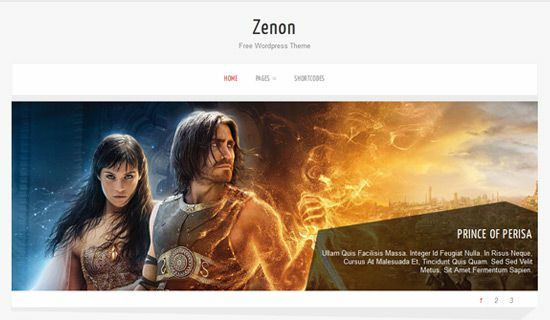 Zenon Lite is an all in one WordPress theme with 3 awesome fonts, slider, background image, and an easy to use theme option panel. 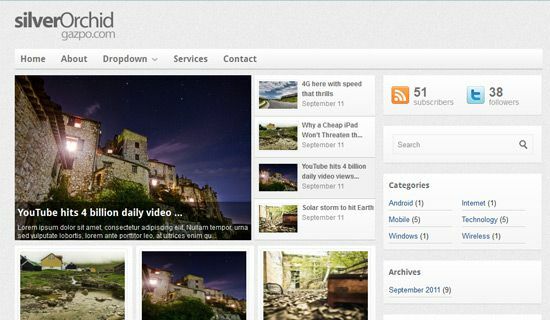 Meeta is a simple blogging theme, but is packed with many premium features like unique widgets and custom templates. 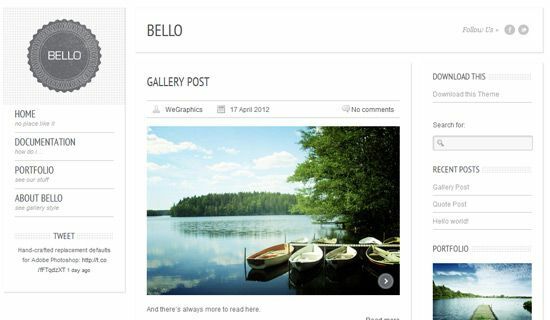 Bello is a simple and elegant WordPress theme. It’s designed to showcase beautiful imagery in a clean and open space. 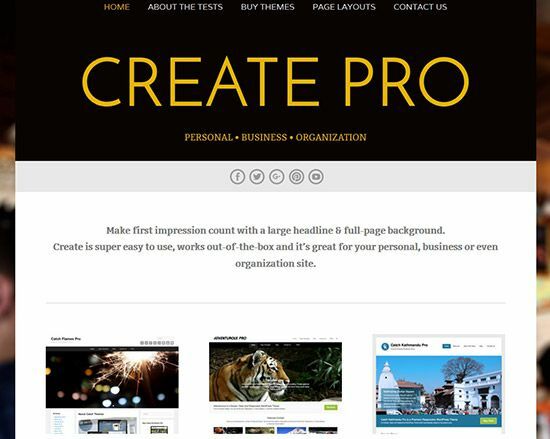 Create is a modern and flat designed theme. Make the best possible first impression. It’s easy to use and is an unconventional solution for your personal blog. 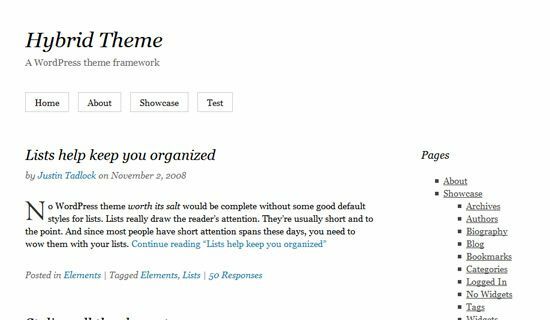 YAMINTH (Yet Another Minimal Theme) is a free WordPress theme and, as you may notice from the name, it has a very minimal look. YAMINTH comes with light colors, a dark footer, Google Web Fonts, and jQuery fade in/fade out of images. Obscura is a free photography WordPress theme designed for the Photocrati Preset. It’s clean and classy and, at the same time, powerful. Showcase your masterpiece photos using this theme. DW Timeline is a clean timeline style WordPress theme inspired by the Facebook Timeline layout. Great for portfolio websites that want to highlight work experiences! 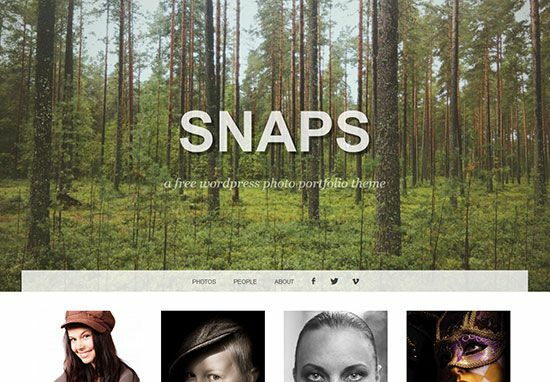 Snaps is a free WordPress theme with a grid based layout. Designed to showcase your portfolio. Unique & Responsive is a WordPress theme with mobile and tablet responsive design. Great grid like theme for a portfolio showcase and creative blogging. 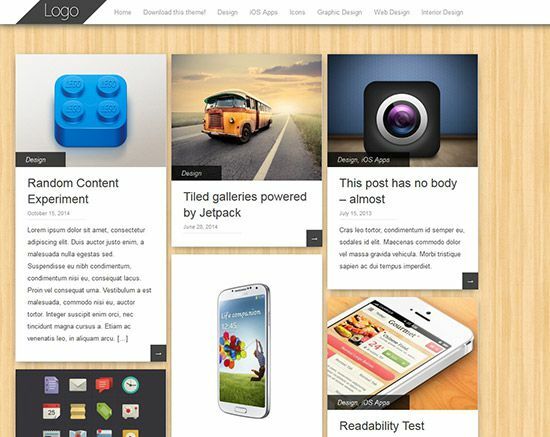 Simple Grid is a free WordPress theme with mobile and tablet responsive design. 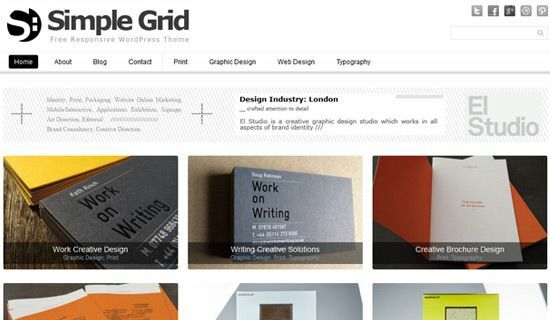 This grid like design theme is perfect for any creative agency to showcase their portfolio. Grid is a free WordPress theme with a mobile responsive design, featuring infinite scroll. 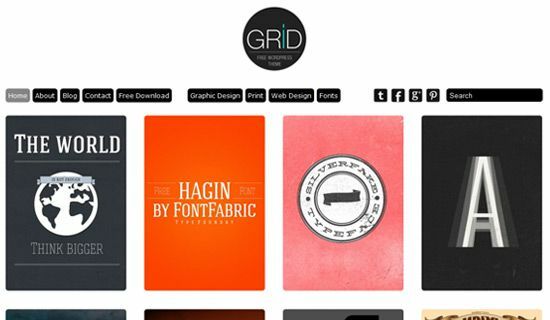 The Grid theme is perfect for any creative to showcase their portfolio. 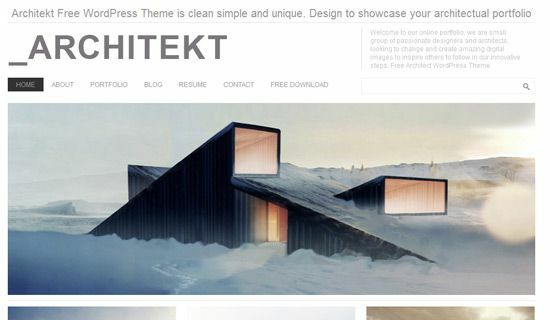 Architekt is a free WordPress theme with a clean, simple and unique design to showcase your architectural portfolio. Grid Style is a free WordPress theme with a magazine based layout. Designed to showcase your fashion style portfolio. Orion is a fully responsive theme with light, clear, minimalistic design and complementing typography. 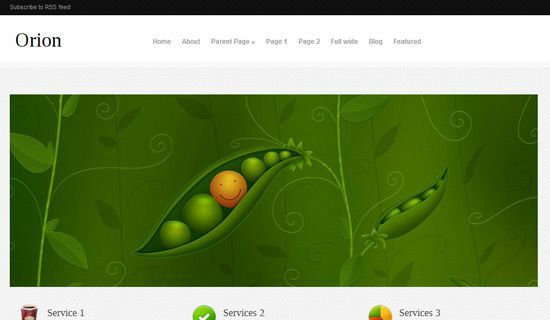 This theme is ideal for a design agency website, designer portfolio, etc. Tiara is a portfolio theme for photographers or artists who like show off their work in style. 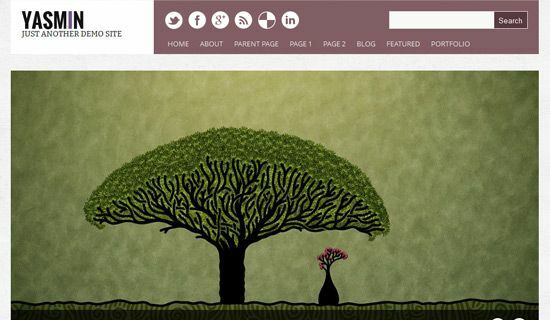 The theme has a minimalistic design which helps to focus attention on your content. Clean, modern, and responsive is Unite, a flat design inspired free WordPress theme. It’s fully customizable and has unlimited color schemes, this theme is perfect for wedding websites. 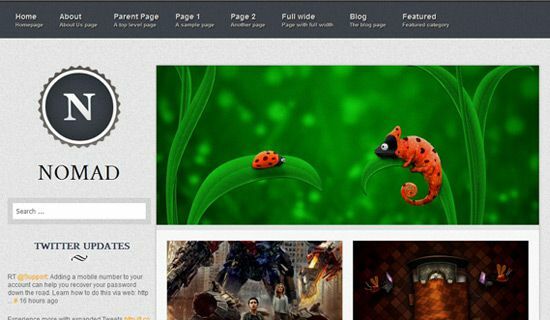 Parallax is a free WordPress responsive theme that lets you create amazing websites. It is responsive and can be viewed in any browser. Aside from that, you can also use this theme’s settings to create a custom background. Engrave is a free multi-purpose WordPress theme that just oozes a professional feel. It is responsive and retina-ready. It also comes with a very powerful theme options panel that can make your design custom-made without even dabbling with code! Cubby is a beautiful WordPress theme great for a lot of purposes. It has a responsive design and can be viewed in any browser! Built with HTML5 and CSS3, Bizkit is a beautiful Responsive WordPress Theme great for business websites. It has a testimonials section, product and services section, and a welcome section. 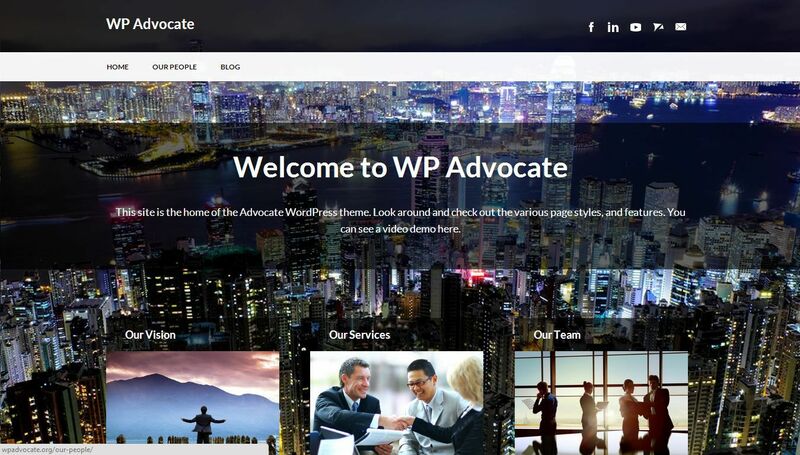 Advocate is a free WordPress theme completely suited for corporate websites. It’s professional look will surely make law and accounting firms go gaga! 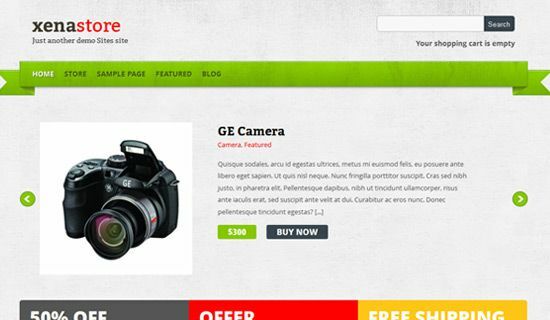 Xenastore is an ecommerce WordPress theme. This theme depends on an e-commerce plugin called Cart66 to function as an e-commerce portal. While you are launching a new site, or revamping the old one, it is most important to let the users feel that they are still being thought of. 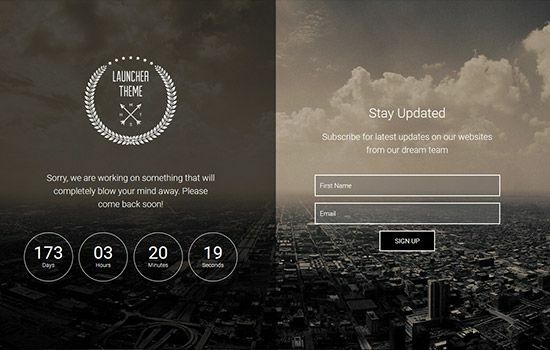 The Launcher WordPress Theme lets site visitors know the estimated time remaining before site launch. 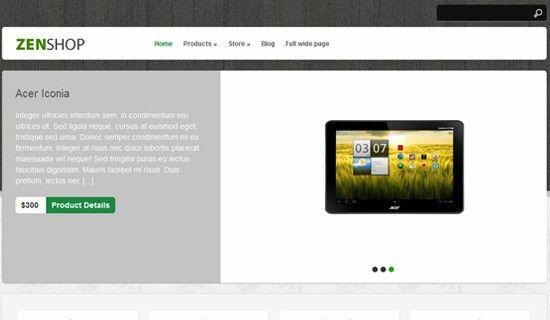 Zenshop is an e-commerce theme designed with a minimalistic grid layout to showcase your store. 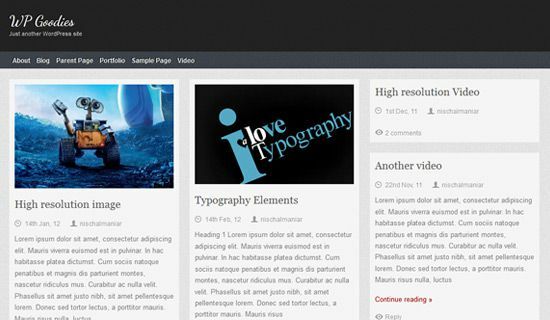 The theme supports WordPress 3 features like custom post types, custom taxonomies, custom metaboxes, etc. What do you think of these free WP themes? Share with us in comments!